The baby is reportedly healthy and developing normally. A baby unlike any other is about to celebrate her first birthday. The reason she’s so unique: she was born from a uterus transplanted into her mother from a deceased donor. According to a study published Tuesday in The Lancet, in September 2016 surgeons at a Brazilian hospital transplanted a uterus into the body of a 32-year-old woman who was born without one. 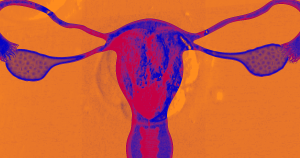 The uterus originally belonged to a 45-year-old woman who had died from a stroke. Five months after the transplant the uterus showed no signs of rejection, and the recipient was even experiencing regular menstruation. Prior to the surgery, the Brazilian woman underwent an in-vitro fertilization (IVF) cycle, which produced eight fertilized embryos. Seven months after the transplant procedure, surgeons implanted those embryos, which had been cryogenically frozen, into the woman’s donated uterus. Ten days later, the doctors confirmed that she was pregnant. On December 15, 2017, the woman gave birth to a baby girl via caesarean section. During that procedure, the surgeons also removed the woman’s donated uterus. Three days after the birth, the baby and her mother left the hospital. A year on, the child is healthy and developing normally, Dani Ejzenberg, the doctor who led the transplant team, told Scientific American. We’ve known since 2014 that it was possible for a woman to become pregnant and give birth to a healthy baby via a donor uterus. However, the donors of those uteruses were always living people, usually a family member or friend of the recipient. Expanding the donor pool to include deceased persons will greatly increase the number of uteri available for transplantation, which in turn increases the number of infertile people who could benefit from such a surgery. Perhaps one day, a similar procedure could even allow transgender women to give birth to children. Experts say it’s already theoretically possible, and this latest breakthrough eliminates at least one remaining barrier: the need to find a living donor willing to part with their uterus. More on uterine transplants: A Woman Has Given Birth After a Uterus Transplant for the First Time in the U.S.